ERP Myths- In my personal experience over the years, whenever I deal with business owners, directors, and CTOs at technology conferences I am reminded that many still hold inaccurate beliefs about ERP. 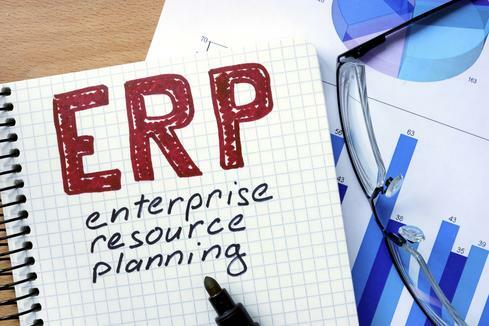 In this article, I will demystify a few key points about ERP systems that continue to skew the perception of some stakeholders in small and mid-sized enterprises (SMEs). The primary concern for any company prior to implementing ERP is its cost. But contrary to the belief that all ERPs are expensive, there are plenty of solutions available in the market that are quite affordable. Low-cost ERP systems can have the same impact for a firm as their higher cost competitors. Many enterprises fail to realize that choosing the right ERP partner is as important as selecting the ERP itself. Small-to-mid-sized businesses can expect the cost of software and services combined to range anywhere from $75,000 to $750,000. If you are using a third party software, then typically the standard license renewal fees for an ERP is 10% to 15% of the software costs. For small business, up to 75 employees, the prices of these tools may range from $10,000 to $100,000. There are thousands of ERP software partners who offer a broad range of packages designed to meet different needs. The above costs can be drastically reduced by choosing a partner geared toward your business needs. Further, options like subscription-based platforms don’t require you to face a huge upfront cost offering a huge advantage today as compared to the costs five or 10 years ago. Although ERP systems are typically well known in the enterprise domain, there are a plethora of SMEs across the globe leveraging ERP system. It was the case in the past that ERP systems were more applicable to larger firms, but similarities in the nature and scalability of operations has changed that paradigm. In a country like India, there is a diverse base of SMEs that can benefit from ERP technology. A good example is a company called FarmLink, which is backed by the Swiss company Pioneering Ventures. FarmLink is a fruit and vegetable supply chain company serving big retail stores, as well as hotels, restaurants and cafes, industrial processors and emerging e-commerce food platforms. It seeks to become the backend supply chain partner–a “one stop shop”–and the most preferred supplier of value-added fresh produce for enterprises focused on food safety, digitization, farmer engagement and social responsibility.